Everyone loves the tube, it’s the quickest way to travel in London and all you need is that little blue oyster travel card. 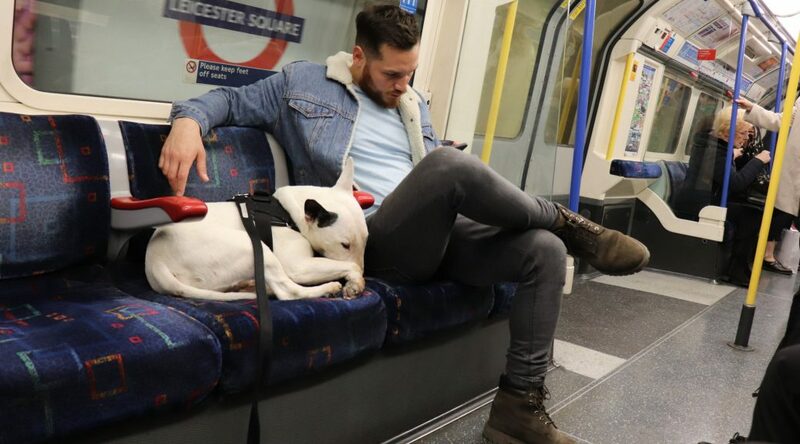 But what if you wanted to travel on the tube with your dog? 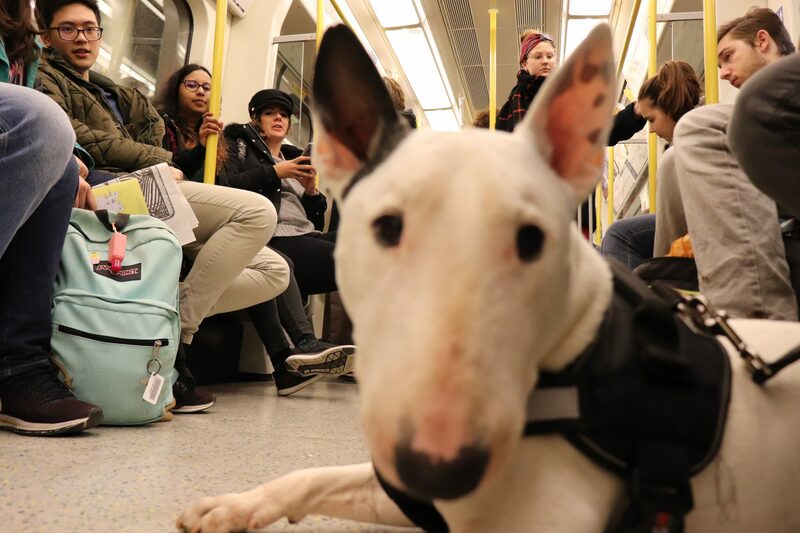 There’s a lot of reasons why a dog would travel via the tube in London. As you may know, driving in London is a nightmare (my human has done it and would not recommend it!). So if you need to take your dog anywhere within the city, such as the groomer, the vet, the pet store, a new dog park or meet up, (or the deli store which is my fave!) then London has plenty of options for transport other than driving. But by far the most efficient is the London Underground, the city’s rapid transit system. Most people know it as the ‘tube’. It runs all over the city and it can get you and your pooch to where you need to go! So picture it, there you are, oyster card in one hand and leash in the other and excited to explore London with your best four-legged pal! What should you know about traveling in the tube? 1. It’s absolutely free of charge! That’s right! Unlike some other European countries, you don’t need a ticket for your dog. It doesn’t matter if you bring a chihuahua or a great dane, your dog can travel on the tube for the price of £0.00. Pretty cool huh? My human says he’s going to start dressing in a dog costume so he can travel on the tube for free! 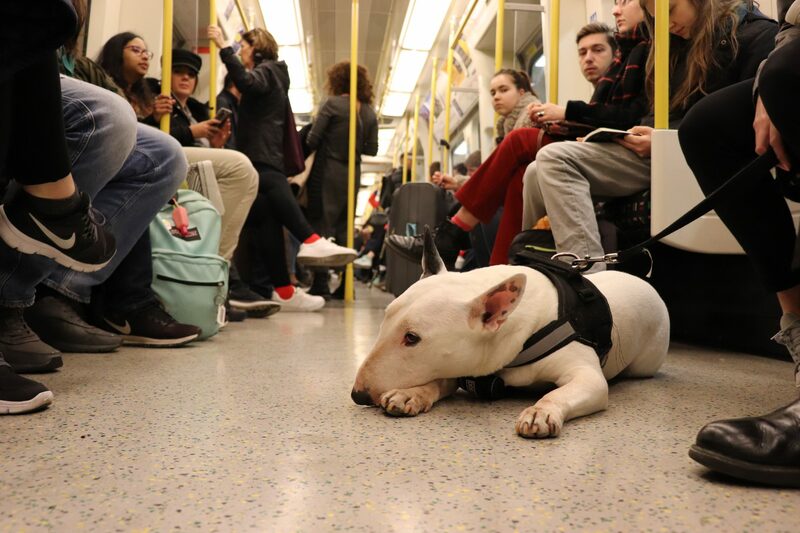 Your dog can accompany you on the London tube with nothing more than a leash. No cage needed, no bag needed and best of all: no muzzle! In some of the European countries, we were quite shocked to find out that muzzles were necessary for, ahem, bigger dogs, which meant that I had to hide my beautiful nose from the world in an ugly muzzle. 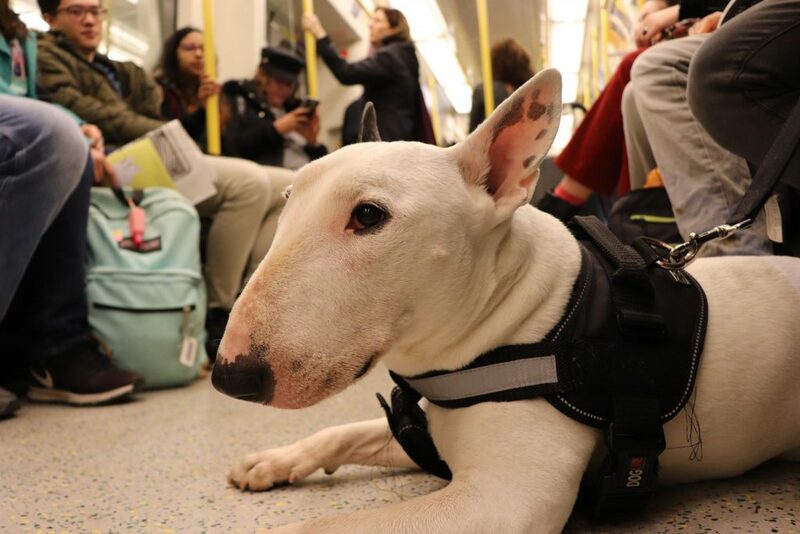 But here in London, I can hop on the underground and go to Westminster to see Buckingham palace without fear of my squishing my nose in a muzzle or my body in a cage. 3. A few ground rules to follow! 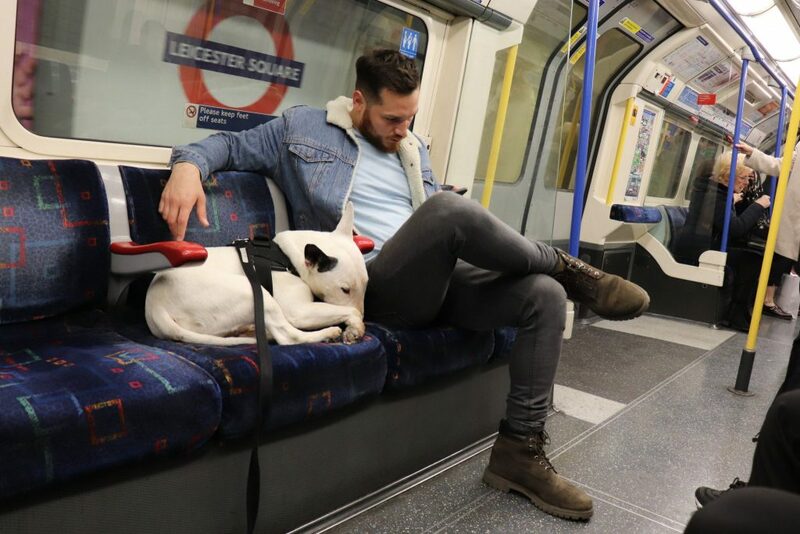 As I mentioned it’s quite simple and straightforward to take your dog in the London tube. That said there are a few rules (I know boring, but good to know). 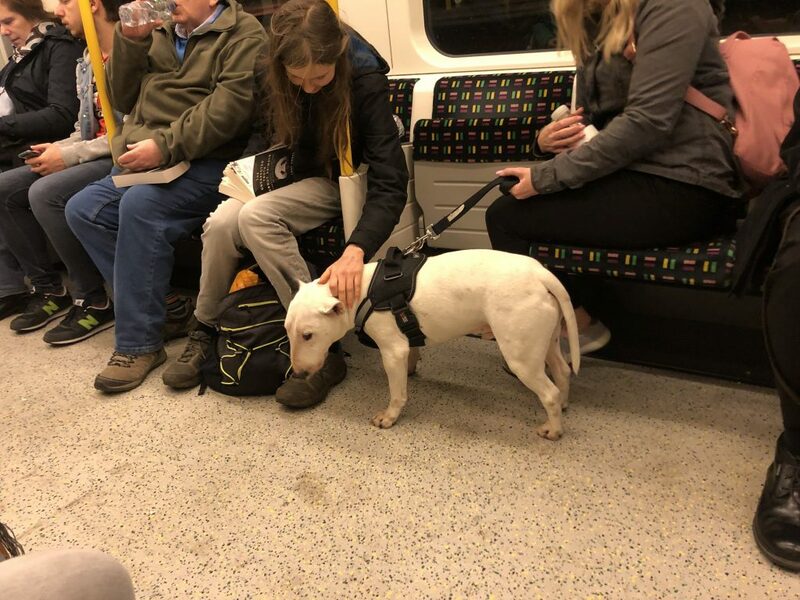 I said before that all you need is a leash and that is definitely a requirement as all dogs must be leashed on the tube. Furthermore, Cruella Deville will probably not be happy to know that you can only bring a maximum of two dogs per person. 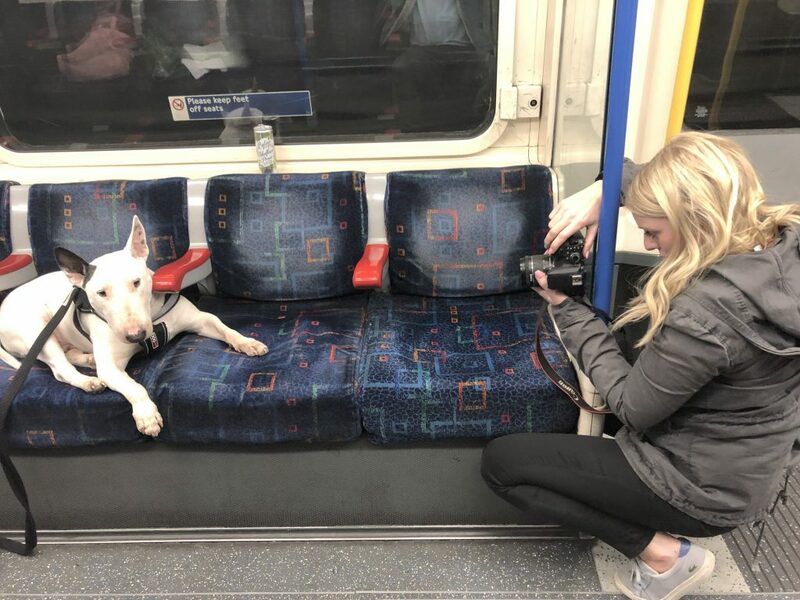 So if she wanted to take her 101 Dalmatians somewhere, it will have to be multiple Ubers, taxis, etc., but definitely not the tube. Your dog must also be carried on the escalator. However, if there are no escalators, then look for stairs for your dogs, which many stations do have. Alternatively, many stations have a lift. However, if your dog is on the bigger side, then carrying might not be an option. The Londog blog has good advice on planning tube travel if you’re unable to take the escalators and need to find stations with stairs. 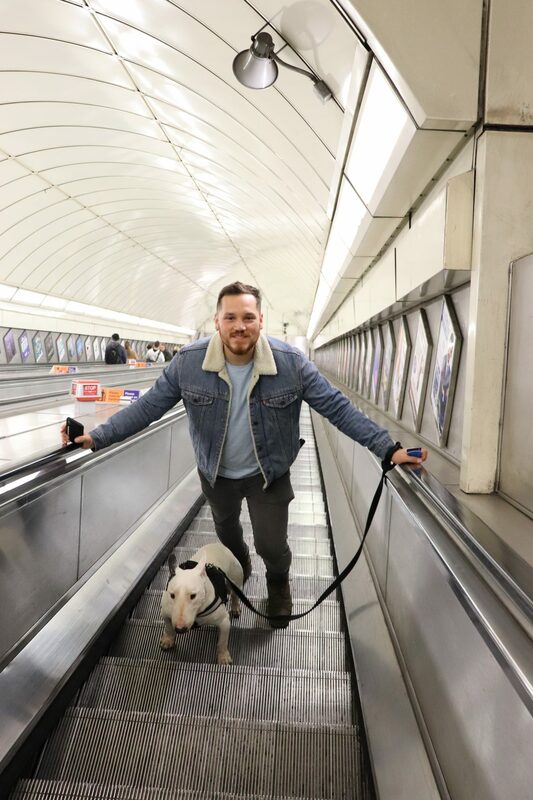 My hooman Danny has carried me before but has also put me on the steps in the midst of an escalator ride however, he made sure to lift me up at the start of the ride and at the end as it can potentially be dangerous for your dog if they’re on the escalator steps. It is worth noting that if your dog is a service dog and they’re used to the escalators, then it’s okay for them to be on there! 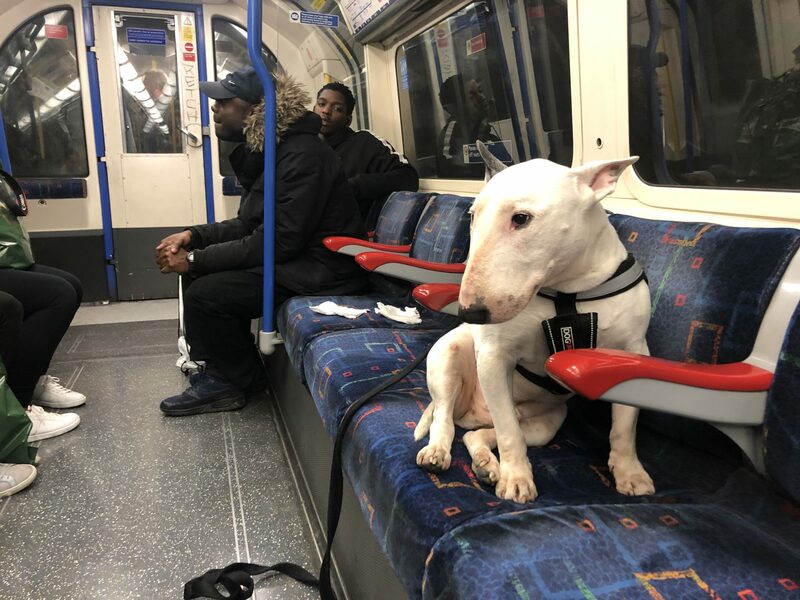 Another rule to follow is that your dog is not allowed on the seats in the tube. As you saw above, we became rebels and I jumped on the seat, however, there was hardly a soul on the tube during this moment so we took the risk to take the photo. For safety reasons, you also have to carry your dog through the gates of the station. If your dog is too big then you have the option of asking a member of staff to open a gate for you. And last but not least, you should know that if staff sees that your dog is not under control or if they have any safety concerns regarding your dog, then they can refuse you entry. 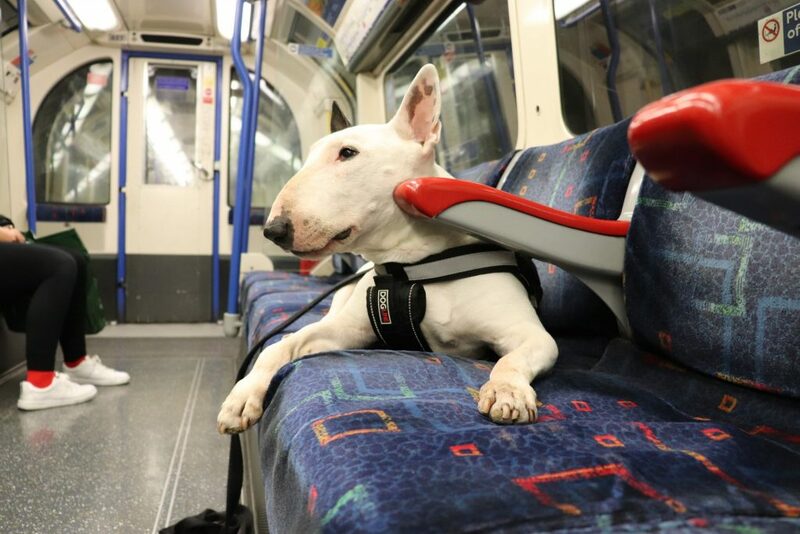 One time my hooman took me to his London office and hoped to beat the morning rush hour. So we hopped on a UK train from where we lived at the time in Surrey to London, but it was delayed so that meant we hit rush hour in the morning in London! We had to wait for a few tube trains to pass by as they were all filled. Then we finally got one that wasn’t as packed, but it took a while. It was the best choice at the time in the underground as Danny thought it would be too dangerous to have me in a train filled with too many people. Luckily I’m used to lots of people, but some dogs may not be. So plan around and make sure you avoid the big crowds as it could be stressful for your dog. 5. Be prepared for lots of attention! 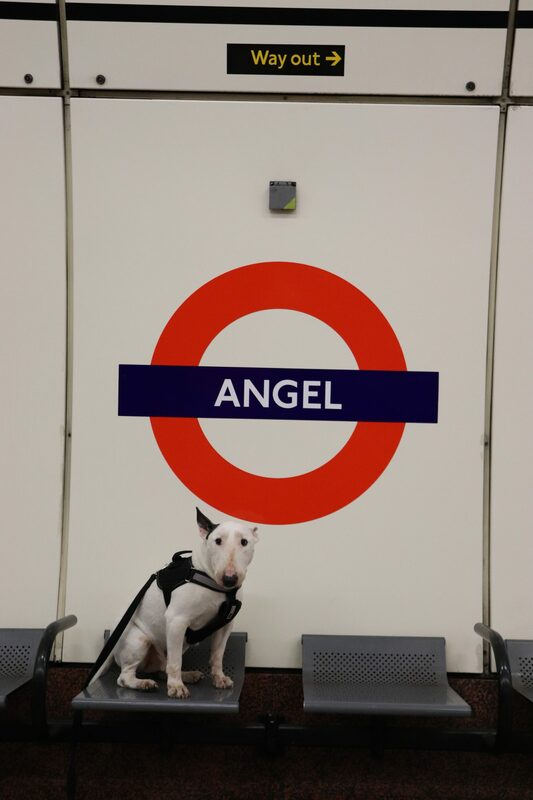 Whilst traveling by tube, you will come across many people who are also traveling! As I mentioned earlier, it is best to avoid the crazy rush hour so you can enjoy the ride with your dog, but you will still see people there no matter what time it is. 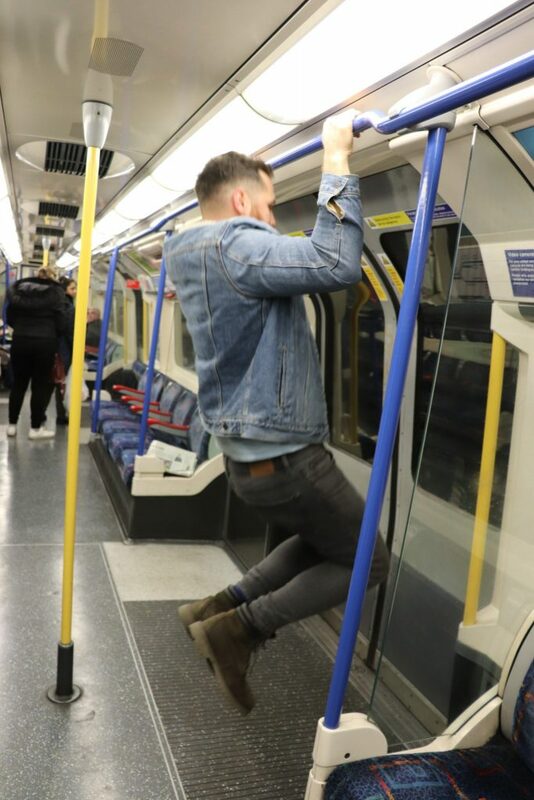 Doing some yoga on the tube! 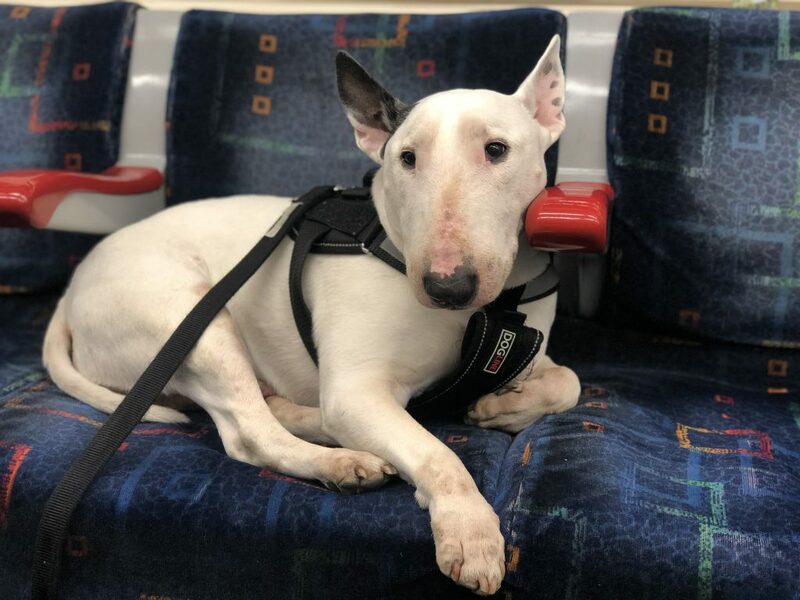 A dog on the tube is not yet a common sight and while more people are traveling with their dogs nowadays, not many people are aware they can bring their dog to the tube and so for many it is a novelty. 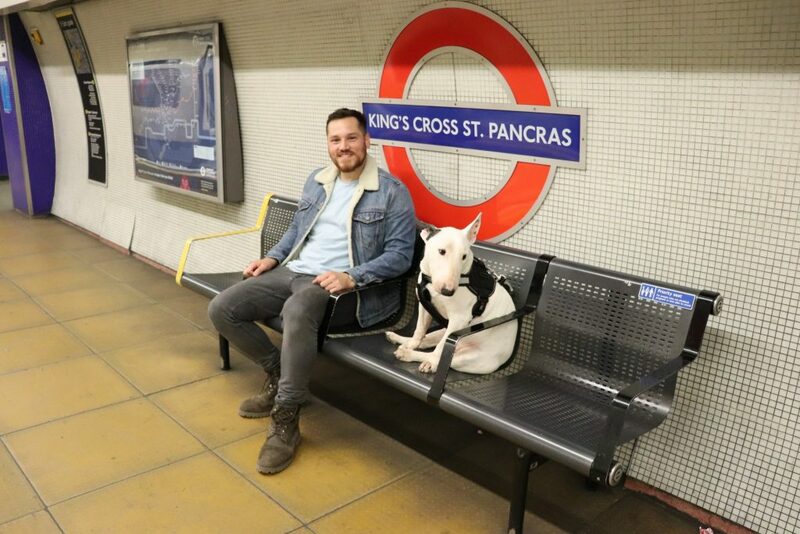 Add to that the vast amount of tourists from different countries all over the world who are not used to seeing a dog in public transport then you got yourself a mini-tourist attraction! 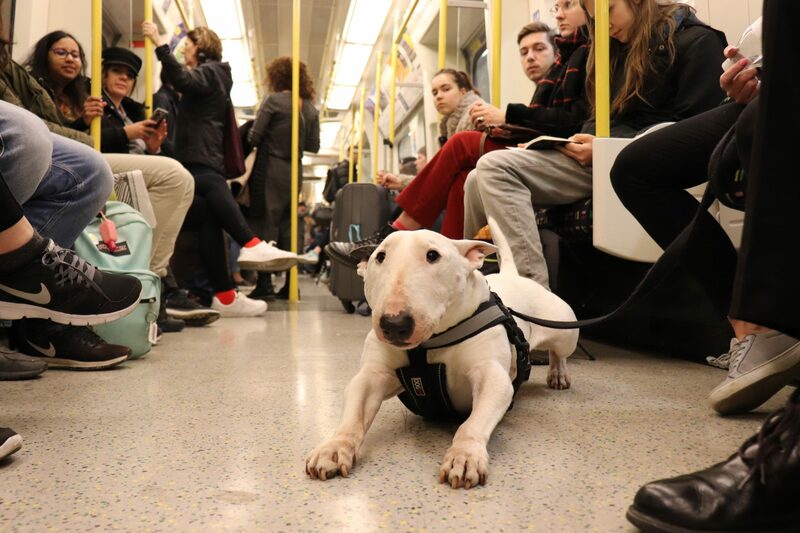 Many will admire, others might be scared, but one thing’s for sure, your dog will be the star of the tube! 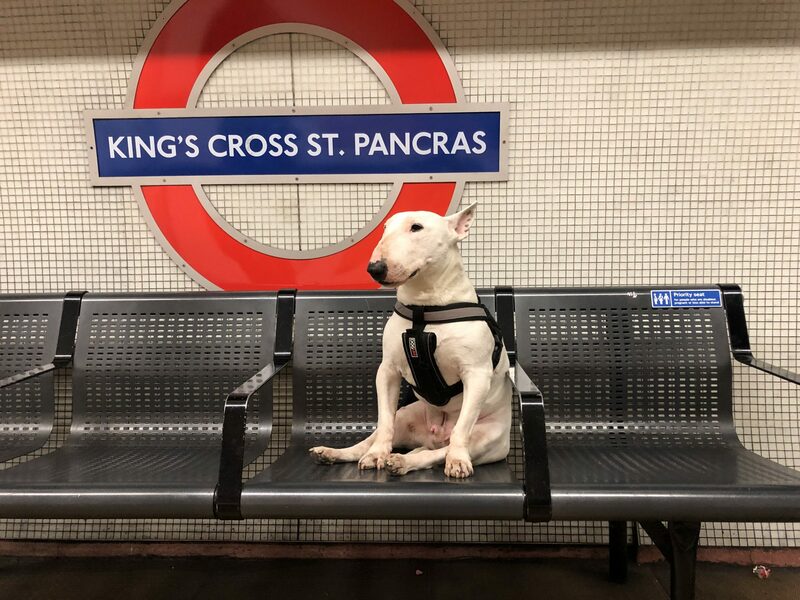 London is a dog friendly city overall and it has tons of events year round where your pet is welcome. 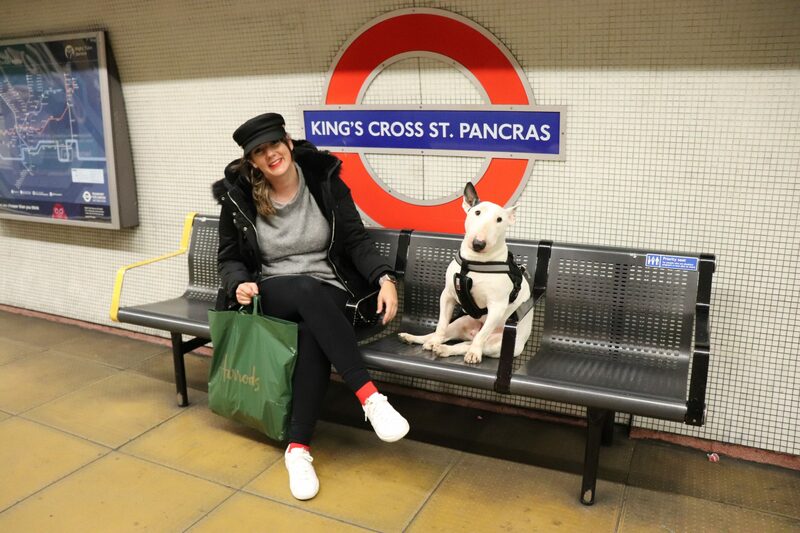 So if you like to take your dog everywhere like we do, then pack your bags, bring an umbrella, and enjoy the city with your dog! I’m breaking the rules again! Meeting friends at the tube! Come on hooman! I can do more than that! Thanks to my friend Paula for the photos! I’m a good little model? Now give me my treat! 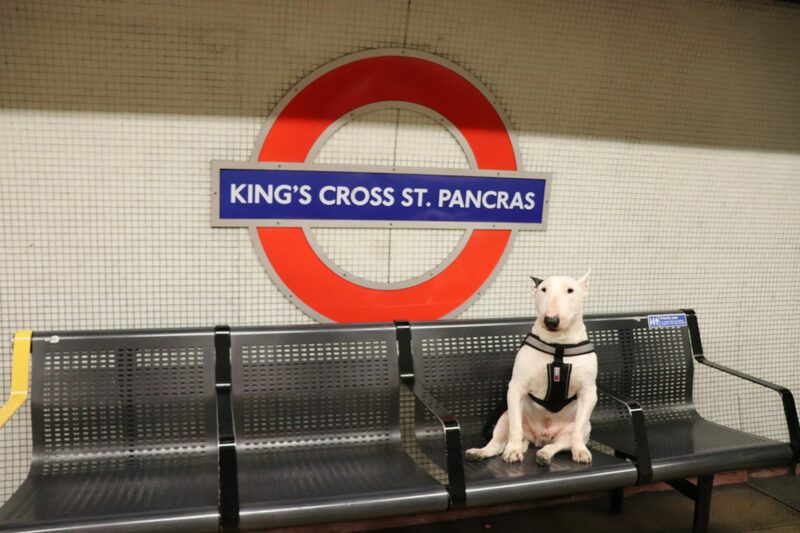 Paddington Bear, meet the King’s Cross St. Pancras Bull Terrier! 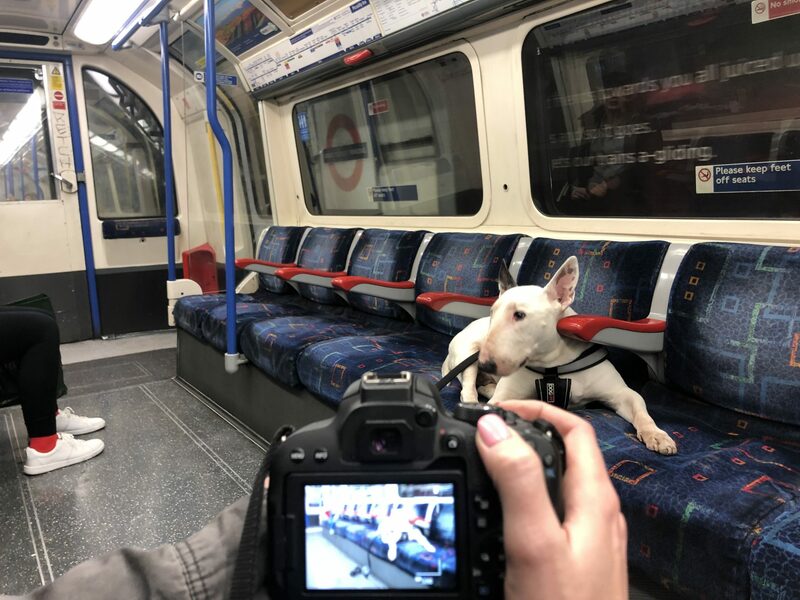 Check out our full video on a day with me on the tube below. If you like the video, then consider subscribing to our channel: Rocky the Traveller!